This gorgeous pattern is one of just five examples known, according to the Pollock reference. 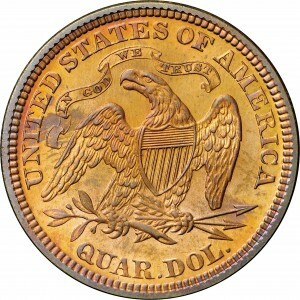 The reverse is the type used to coin regular issue quarter dollars of this year and no doubt was struck from a die used for Proof examples in silver. 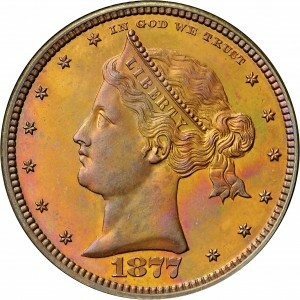 All 1877 pattern issues are extremely rare, with the half dollar series famous for its importance. 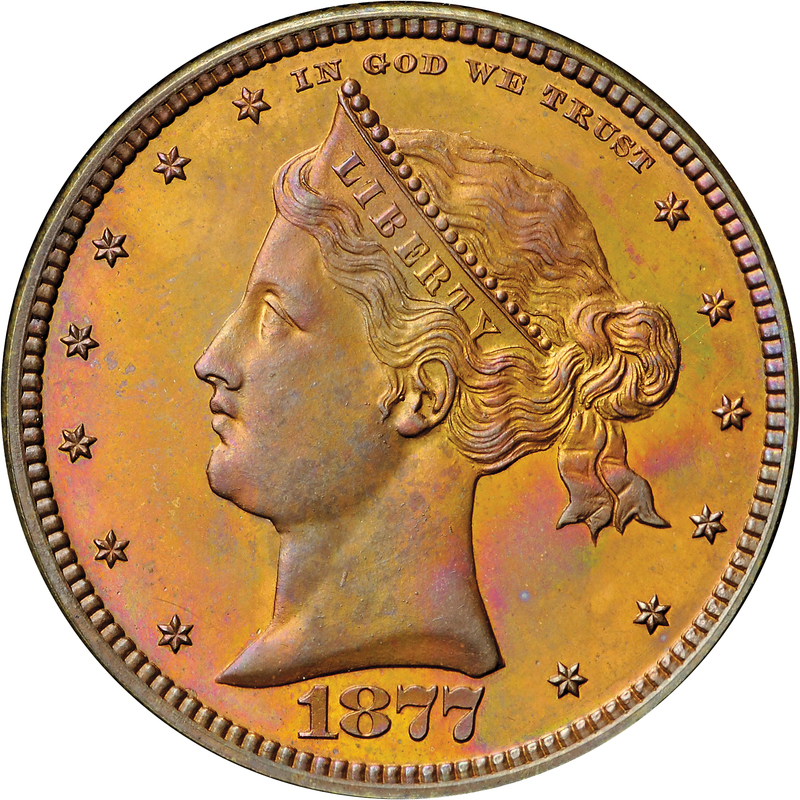 Tall head of Liberty to left, LIBERTY on coronet in her hair, hair in bun behind head, two ribbon ends hang from bun, IN GOD WE TRUST above Liberty's portrait, seven stars before, six stars behind, date below. The type used for regular-issue quarters of the date. "Was listed as Patt 149."